Description: Phenomenologies of Scripture addresses two increasingly convergent disciplines: philosophy and biblical studies. On the one hand, the recent "theological turn" in phenomenology has established religion as a legitimate area of phenomenological inquiry. If that turn is to be enduringly successful, phenomenology must pay attention to the scriptures on which religious life, practice, and thought are based. On the other hand, biblical studies finds itself in a methodological morass. Contemporary approaches to scripture have raised important questions about the meaning and function of scriptural texts that phenomenology is uniquely positioned to answer: how is the meaning of a text constructed or gleaned? How can the divine be present in human words? Is a scientific approach to the Bible still possible? By putting scripture and phenomenology in conversation, this volume serves two practical purposes: in turning to the Bible, phenomenology tests and clarifies its own limits by considering scriptural phenomena that reside at the boundaries of human knowledge and perception. By turning to phenomenology, biblical studies gains clarity about the philosophical and theological problems it faces today. Bringing together essays by eight of today's most prominent philosophers of religion with responses by two leading biblical scholars, Phenomenologies of Scripture reestablishes the possibility of fruitful, dialectical exchange between fields that demand to be read together. Citation: Davis Hankins, review of Adam Y. 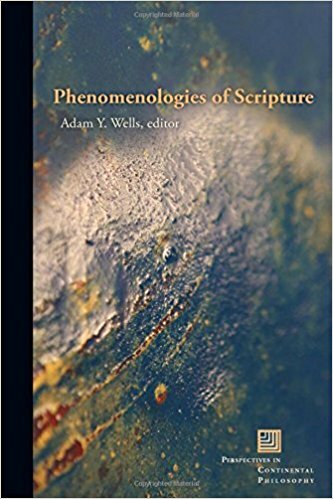 Wells, ed., Phenomenologies of Scripture, Review of Biblical Literature [http://www.bookreviews.org] (2018).